HIV AIDS clients & all terminally ill people, regardless of their religious affiliation, or age are able to utilise the services of Hope House. Accommodation is provided in individual furnished units. Clients come to us referred from all the regions of the country. The vision of Hope House is to offer the nation a sanctuary and peace of mind in their hour of need. The mission is to alleviate the pain and suffering of those living with a terminal illness, and assisting them to lead fulfilling lives. We have 25 homes where we admit & care for the clients, as well as train the care givers. Our Mandate is to care for the HIV AIDS and terminally ill clients and to prevent new infections; we may be able to achieve the vision 2022. The success of the country’s ART (Anti-retroviral Treatment) programme means that more and more PLHIV are living well in to old age. The increase in life expectancy means that the numbers of people PLHIV who are ageing with the disease are on the increase. Therefore as the country plans to end AIDS by 22, there is need to prioritise the issue of long term effects of ART and again diseases. There is an increasing number of children born with HIV are now adolescents, teenagers and young adults. 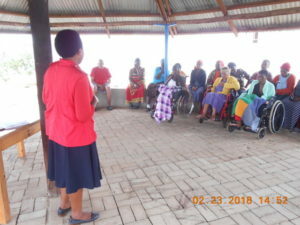 This group is faced with unique challenges in accepting and receiving or taking ARVs. Many are in denial, afraid, angry, misinformed an often lack family support or social support and most of them are orphans. This age group should benefit from special consideration and proper counselling and supportive care, without which we will not able to achieve the 20122 target, when we celebrate March 1st, is World Zero Decimation day. The challenge is for everyone to recognize where discrimination is taking place and appropriate action to stop it. On 22nd February at 7.45 PM we had Mr. Derik 33 years brought in by the police of Mafutseni police station. They said they Found Derrick in a forest nearby, he is a defaulter of ART and worn out hungry and almost at the point of death. The police took him to RFM hospital and initiated on ART. He had no relatives with him. The police promised to come with the relatives on the following day, thus Mrs. Sithole the staff who was on duty admitted the client, gave him food, clothes and all that was needed. We also had to arrange someone to care for him as he was bed ridden. Few days after Mr. Derrick recovered and we had to shave off his head as his hair was very dirty and long, clean him up, Mr. Ian cleaned up his clothes, nails and fed him. Now he has improved much and is able to walk around. Mr. Thabo came in with his mother who was wasted with diarrhea and is on ARVs, The Mother didn’t want to stay with the son as she wanted to participate in the Maganu ceremony and she loves to drink the same. Thus it was a challenge to convince her stay back to take care of her son. The tender loving care and the medication made Thabo to be able to sit up have his meal. Next week three kids & 8 adults will be discharged and kids will be back to school. We also have Nombuso Gumedze a client who was admitted at Hope House on ARVs from the month of November and on Friday 2nd March her relatives wanted to take her to south Africa for a better treatment, but at the boarder she was turned back as her condition was not good to cross the border and was admitted in a hospital and finally brought her back to Hope House. She is still weak and very ill. She was born with HIV and continue to struggle with it. RFM Hospital continues to refer clients for the palliative Nursing Care and we continue to work in collaboration with likeminded organizations. 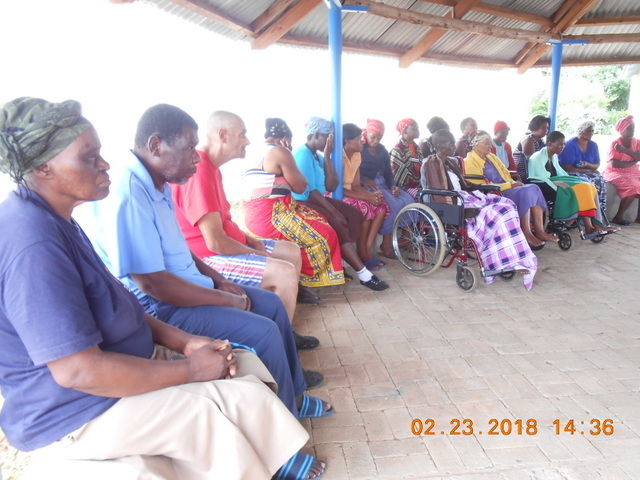 Clint’s continue to enjoy Physiotherapy both at Hope House as well as at Cheshire home in Matsapha, where a vehicle comes and collects the clients for which they charge R 50 per session including the transport. This assist the clients to have a speedy recovery and is able to walk back home.